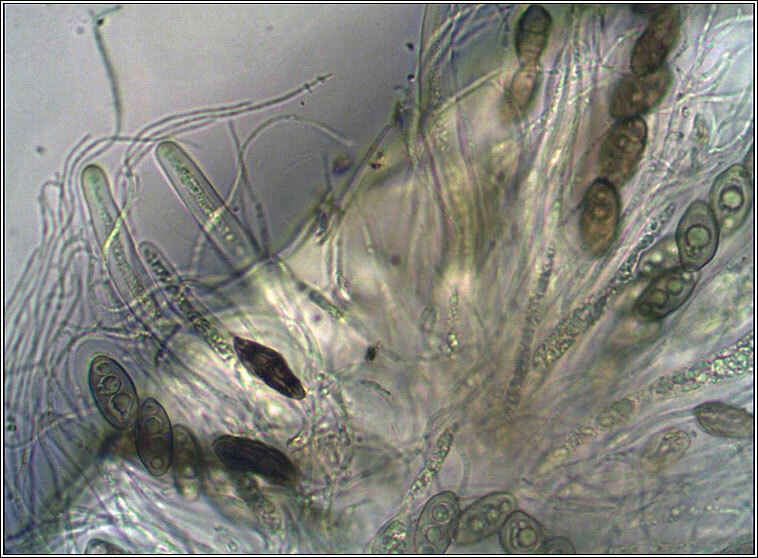 Waxy olive-brown to creamy yellow thallus with flecks of white pseudocyphellae. 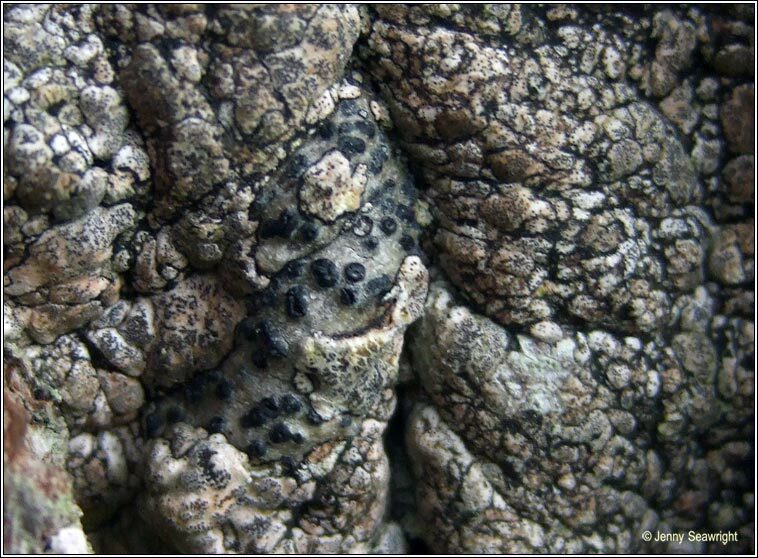 Mosiac-forming, black prothallus. 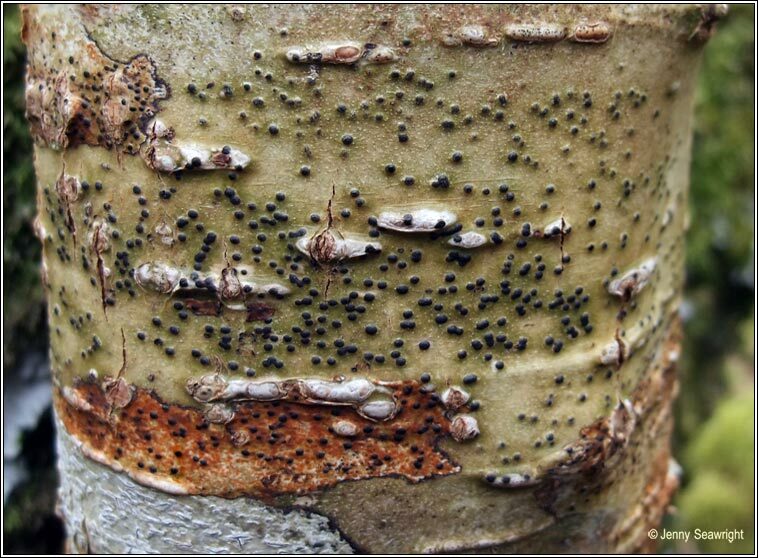 Globose black perithecia to 1mm, becoming prominent with a visible ostiole when mature. 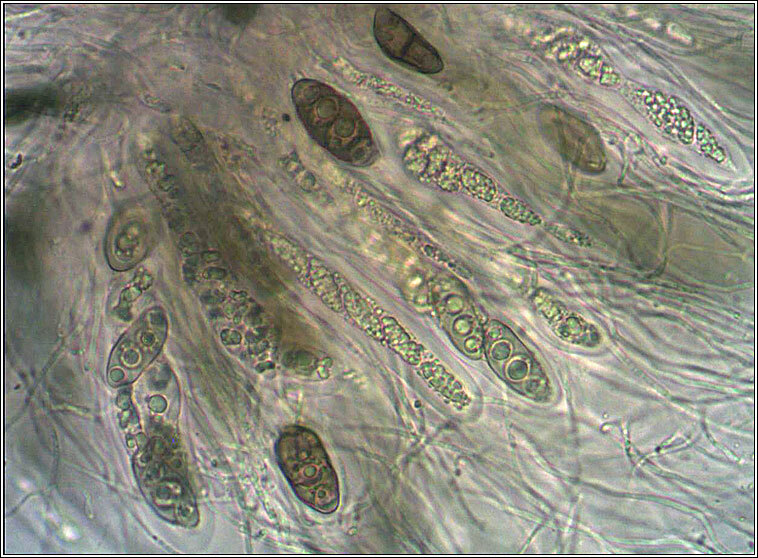 Asci are 8-spored, the spores brown, 3-septate with distinctive locules, 25-35 x 8-12 µm. Micro photographs below. 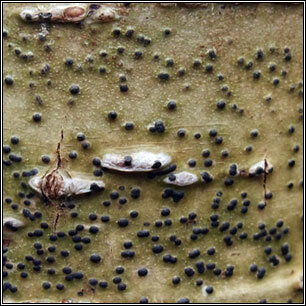 Common throughout Ireland on shaded, smooth-barked trees. 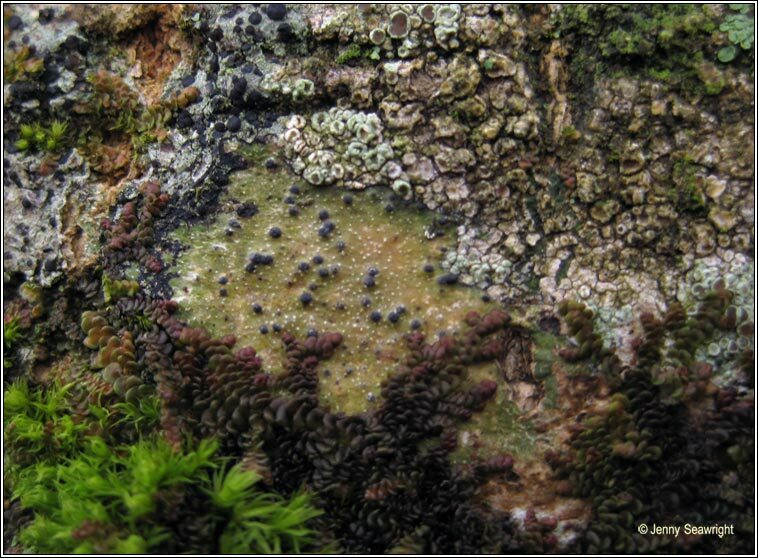 Similar: Pyrenula chlorospila Smaller perithecia.